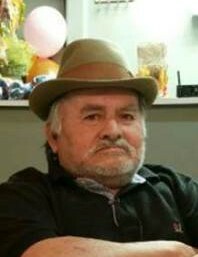 Obituary for Daniel F. Mendoza, Sr.
Daniel F. Mendoza, Sr., born on July 21, 1948 in Mercedes, Texas, passed away in McAllen, Texas on May 27, 2017. He is preceded in death by his parents Ildefonso Mendoza and Fausta Flores Mendoza. Daniel is survived by his wife, Teresa Garcia Mendoza; his siblings Alfonso, Juana, Filiberto, Nicolas, Fausta, Luz, Dolores, and Graciela; his children Daniel (Rosalba) Mendoza Jr., Arturo Mendoza, Marisol (Efrain) Balsadua, Leonel (Veronica) Mendoza, Erica Mendoza, Daisy (Luis) Paz, Francisco Jose Mendoza; 24 grandchildren and 10 great-grandchildren. Vaughan Funeral Home of Donna is in charge of funeral arrangements.